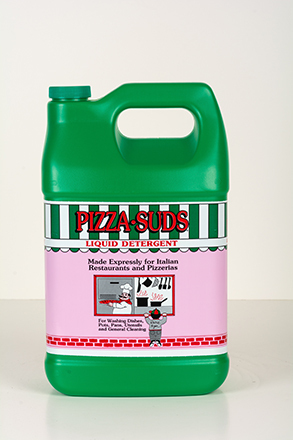 Pizza Suds is proud to celebrate 25 Years as a successful detergent for Italian Restaurants and Pizzerias! Have a Questions About Our Products? 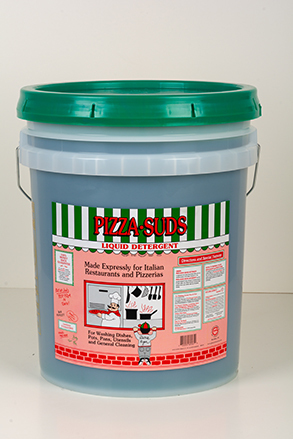 Pizza Suds has been specially developed for the heavy-duty hand washing of Dishes, Pots, Pans & all Kitchen Utensils in establishments such as Pizzeria’s and Italian Restaurants. Cuts grease fast, very easy on the hands.